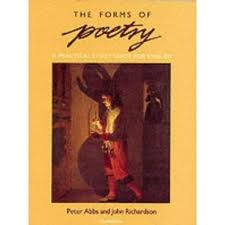 Among my collection of books on poetry ( poems as well as guides to the study of poems), there is one book I like much - 'The Forms of Poetry - A practical study guide for English by Peter Abbs & John Richardson ( Cambridge U P). It is meant for students aged 14 -18, but is useful for anyone who wants to understand and appreciate poetry. Poems of many kinds liberally scattered throughout, the book is hugely enjoyable. I just wanted to share some I liked. I would highly recommend this book to anyone who wants to learn the nuances and beauty of poetry. It sits, a moist ball of flesh in my hand. Blowing out with care, his throat balloon taut. He hangs his skin cravat under his chin and smiles. Sending black warts colliding down his back. Exaggerated by the thin circlet of gold he wears around them. In wait for the worm, long pale pink innocence. He smiles and rests his head flaccidly on my thumb. Must read this book on poems. Thanks for the suggestion. Have always been fascinated by endless forms of poems. Regard poetry the best way to express feelings ..... hence, named my space "Feelings"
Will surly have a look sometime .. This one must be bought! I like all the three poems you shared, especially the DH Lawrence one. The book is quite rudimentary, but it will definitely help you to look at poetry in a fresh way. Poetry is concentrate manna!